other information Topic TSCD065, 2001. 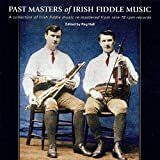 "A collection of Irish fiddle music re-mastered from rare 78 rpm records." Notes by Reg Hall.